Born in Heraklion, Crete, Greece, Konstantinos Papadakis has been described by the press as “one of the greatest hopes of music” as well as a “spontaneous, honest artist.” The Boston Globe wrote: "Papadakis gave a stunning performance displaying great variety of attack, poetic lyricism, and wrists of carbon steel." Konstantinos has performed in recitals and collaborated with chamber ensembles and orchestras in the world’s major concert halls and famous artistic centers from Russia and Southern Europeto the United States and Canada. He has recorded several works especially written for him by contemporary composers, many of which have been broadcast on radio and television. He has won several prizes and distinctions at international piano competitions, including the prestigious Yannis Vardinoyannis Award, given for the first time to a pianist, as well as the Esther & Albert Kahn Award. Other major appearances include Wigmore Hall, Jordan Hall, the Athens Concert Hall, New York’s Carnegie Hall and St. Petersburg’s Grand Concert Hall, where he performed in world premieres of works by Greek and Russian contemporary composers. Equally at home performing Bach’s English Suites or Ligeti’s Etudes for Piano, he possesses an unusually broad repertoire, including some 70 concertos, over 300 works for solo piano, and numerous chamber works. In 2008-2009 Konstantinos finishedrecording Theodore Antoniou’s complete piano works, and selectedsonatas of Domenico Scarlatti. Commemorating the bicentennial year of Franz Liszt's birth, in 2011 Konstantinos embarked on an ambitious cycle of recitals of some of Liszt's shorter and less known works. In the spring of 2011 he recorded a new and unique CD of 16 miniature Liszt masterpieces entitled "The Short Liszt". 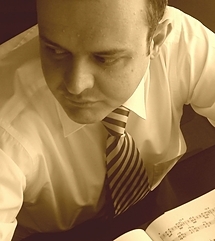 Konstantinos studied at the Hellenic Conservatory of Crete with Vilma Antonakaki; a year later, having already won the first prize at the Panhellenic Competition (including a Special Distinction for his own composition), he debuted as soloist in many performances showing his special musical and pianistic skills. He subsequently received a fellowship at the Hellenic Conservatory of Athens, where he studied with Costis Gaetanos, and he graduated with a First Prize Golden Medal for excellence (a superior distinction awarded for the first time to a pianist). He also attended lessons with Martino Tirimo, Nikolai Petrov, and Vladimir Ashkenazy. An alumnus of Boston University's School for the Arts, Konstantinos studied with Anthony di Bonaventura and received an Artist’s Diploma in PianoPerformance. At his graduation in May of 2000, he was honored with the Esther & Albert Kahn Award and was invited to join Boston University's piano faculty where he remained for several years. In addition to repeated solo appearances with Boston's Atlantic Symphony Orchestra, Konstantinos holds the prestigious Motoko and Gordon Deane Principal Chair as the Orchestra's pianist. From 2006 to May 2011 Konstantinos was the “Samuel Barber Artist-in-Residence” at West Chester University in West Chester, Pennsylvania. Currently he is on the piano faculties of the New England Conservatory's Pre-College and Continuing Education Division and Boston University’s College of Fine Arts. He also directs the Summer Piano Academy in Athens, Greece.